Posted on February 15, 2019 at 1:06 am. 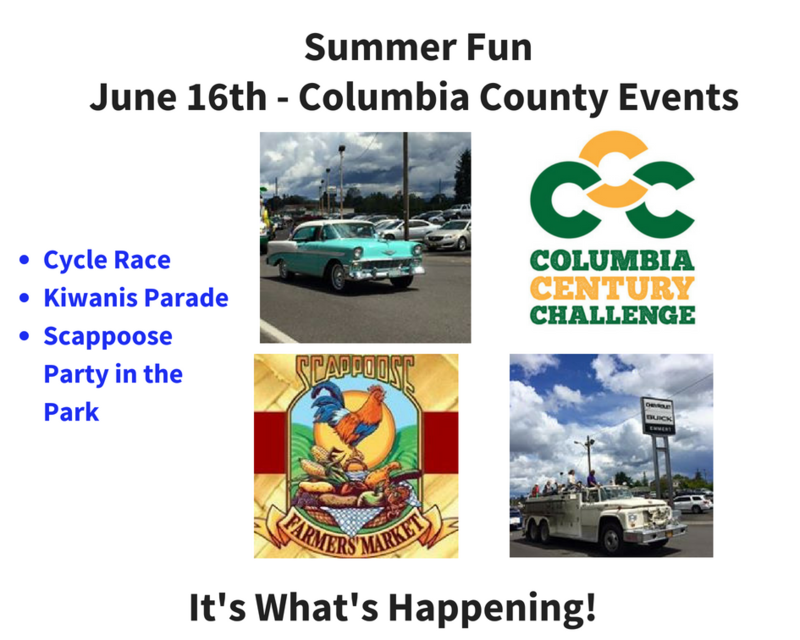 Columbia County, OR – Columbia Arts Guild (CAG) has partnered with one of their members and program creater, Joan Youngberg, to put on another community art project after her successful “This is US St Helens Project.” You can read more about the past project here. 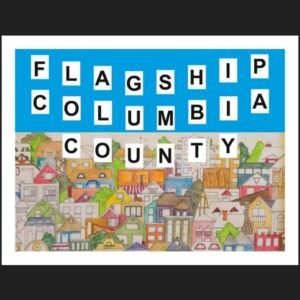 Their new project is called Flagship Columbia County. 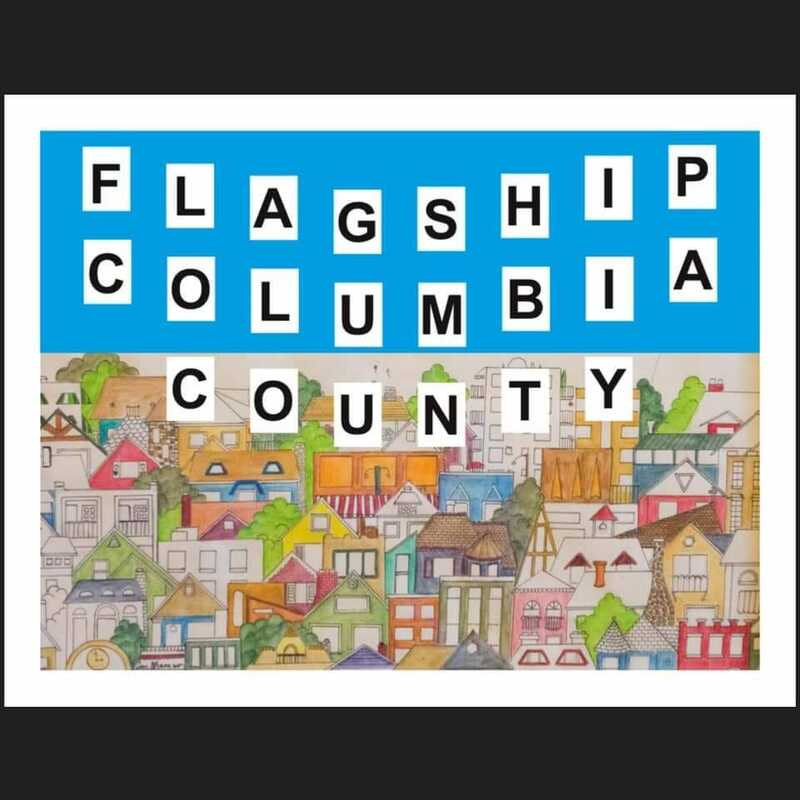 Where the first project painted homes which are currently on display at the South Columbia County Chamber of Commerce patio 2194 Columbia Blvd, this new project will have participants from across Columbia County painting flags. Grants were secured for this project by Columbia County Cultural Coalition (CCCC) & The Oregon Foundation by Columbia Arts Guild. Each community member can paint on a piece of 5 X 8 Tyvek, a waterproof siding material provided at the paint location. These pieces will make up our uniqueness once assembled to create a banner displayed somewhere in Columbia County over the summer according to their facebook page. You can join in the fun at any one of their painting events such as the one at Running Dogs Brewery from 5-8 PM on February 22nd. This is open to any group that would like to participate. Please contact Joan Youngberg at greenhouseyellowdoor@gmail.com if you have questions. The Columbia Arts Guild has membership open to any artists or supporter. You can support the group by becoming a member and supporting their projects. Posted on November 6, 2018 at 4:25 pm. 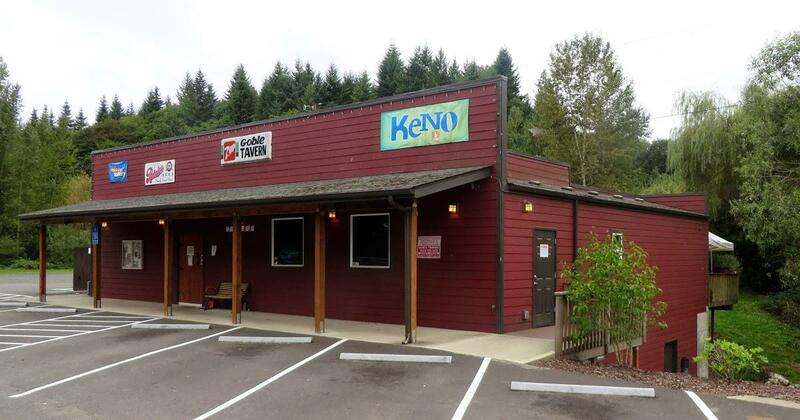 Columbia County, OR – Two businesses in Columbia County are offering delivery service. 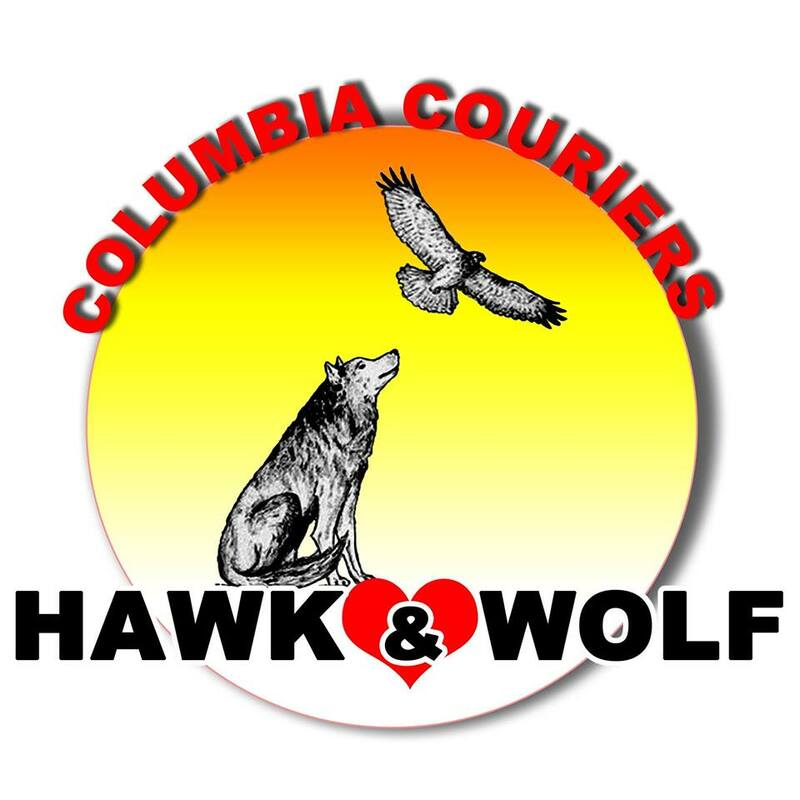 Hawk & Wolf Columbia Couriers have a focus on food delivery from local restaurants in St. Helens. The other business Columbia County Anytime Assistant can help with almost anything, anytime! Both businesses serve a purpose to help our local residents in a growing community. It’s a convenience for some, a necessity for others since public transportation is limited in our rural community. 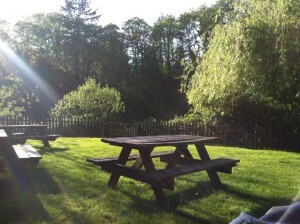 One delivers locally in St. Helens mainly from restaurants. 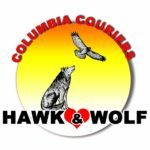 Hawk & Wolf Columbia Couriers can bring you a variety of items from fried fish, gourmet sausages, Mexican or Thai Cuisine, and general grocery items from the gas station. They can help fulfill your food cravings from local restaurants. 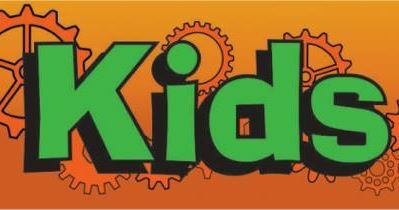 The company is run by partners, Ben Tiscareno & Kathleen Jenkins, They are open Tuesdays. Wednesdays & Thursdays 11 AM – 8 PM, Fridays & Saturdays 11 AM- 11 PM closed Sunday -Monday. They have partnered with Muchas Gracias Mexican Food, Skippers & Skinny’s, Vinnie’s Chicago Subs and Roy Thai to deliver locally in the St. Helens area. 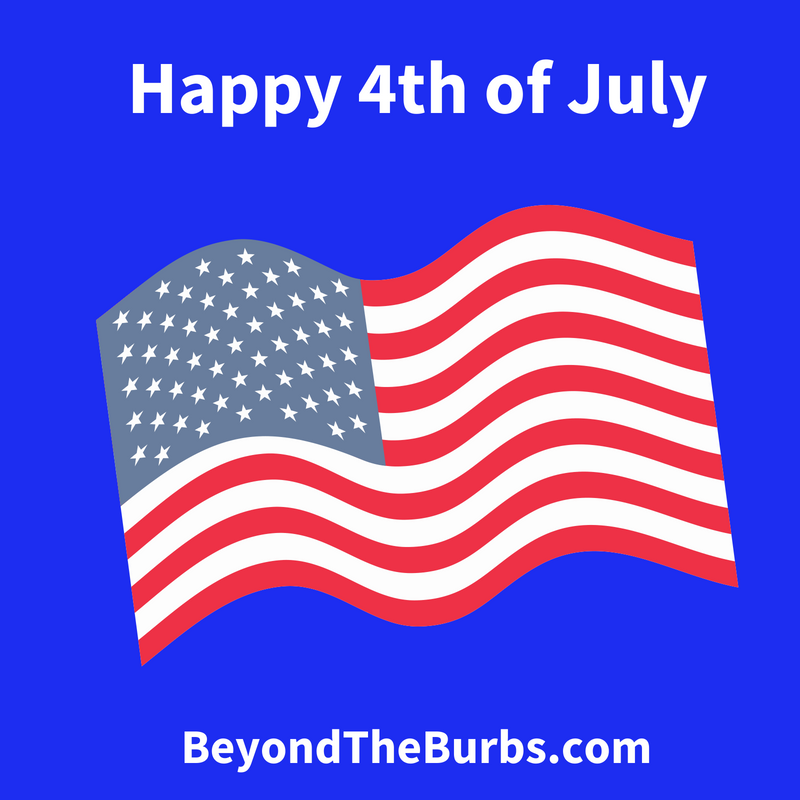 You can find a map of their service area pinned to the front of their facebook page. Columbia County Anytime Assistants opened in the past few months to help with concierge and other customized services. 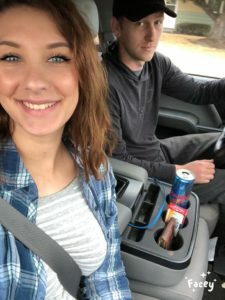 This new company is run by a husband and wife team, Arejonna & Josh Paulson. They started this company in July 2018 Arejonna shared, “to further help our community, especially ones who are our veterans or disabled.” They can also work with kids. Need help with school drop off or pick up, car services pick up or drop off, pet taxi, a variety of other concierge services such as dropping off prescriptions, dry cleaning, alterations, post office, dump runs, merchandise returns, grocery shopping, and customized errands give them a call. They are open 7 AM- 10 PM Monday -Fridays and 9:00-10 AM on the weekend give them a call at 971-328-2246 to book a space. Arejonna & Josh Paulson on their first errand for their new business. Posted on September 29, 2018 at 11:27 pm. St. Helens, OR – It’s that time of year when you drive down St Helens Columbia Blvd and scarecrows adorn the outside of many local businesses. You can even join in the fun by voting online for the Spirit of Halloweentown Scarecrow Contest which starts on October 6th. 2018 marks twenty years since the movie Halloweentown was filmed in St. Helens. The whole county has jumped in to help celebrate. The month-long celebration put on by the City of St.Helens is called the Spirit of Halloweentown complete with ticketed events and some free activities centered down at the Riverfront. Other nonprofits are putting on Halloween or Fall events to provide fun for locals and tourists alike. Parades bring the community together kicking off the festivities. Two local businesses, American Family Insurance, Heather Epperly & Pat Olson, Guild Mortage have banded together to put on the 3rd Annual Spirit of Halloweentown Parade on October 6th at 6:00 PM starting at Hwy 30 & Columbia Blvd down parade path to Dockside. The Little Spooks Parade sponsored by The Chronicle happens every year downtown St Helens right after the Children’s Fair at 4:00 PM. Both the Caples House located in Columbia City and St Frederics in St. Helens are holding Fall Festivals the weekend of Oct 6th. Caples House starts at noon with Free Admission until 5:00 PM. 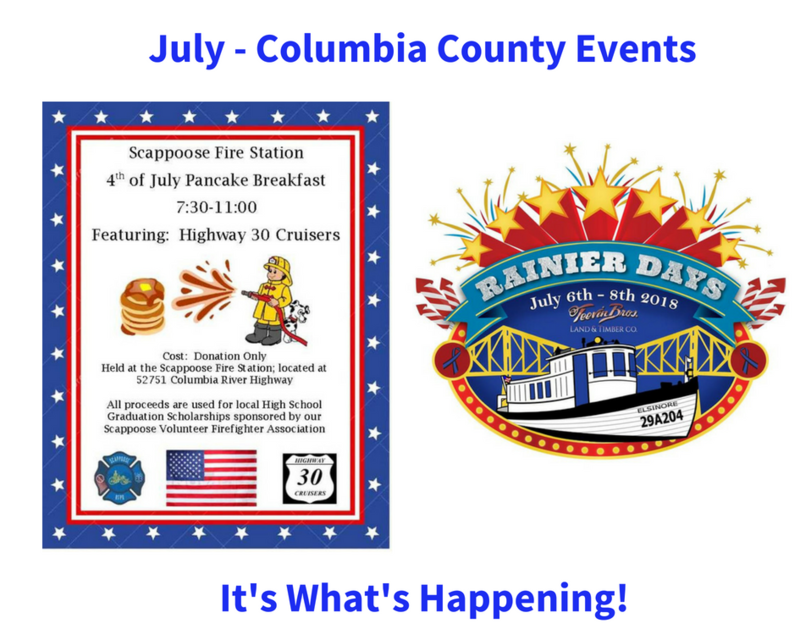 Historic flair complete with food, activities, vendor booths, cider press, silent auction, raffles, and music. St Frederic Fall Festival & Pumpkin Patch is over a two day weekend Oct 6th & Oct 7th with great food, horse rides (weather permitting), hayrides, indoor games, picture spots, locally grown pumpkins for sale and more open Saturday 9:30 AM- 4:00 PM and Sunday 10;30am -4:00 PM at 175 South 13th Street, St. Helens, OR. Local nonprofits like SHEDCO (St Helens Economic Development Corporation) are hosting events like the Halloween Inverted Experience on the weekends during the month for $10.00 Admission. They have also launched a free mobile app to explore St Helens called The Great Halloween Hunt to help you locate the various haunted spots, movie filming locations, family-friendly activities, and more. To Participate; download the Actionbound application from your mobile app store. Search for The Great Halloween Hunt and download the bound. From there you will be able to select which area/attractions you want to start exploring first. SHEDCO is giving away prizes see their facebook event page for more details. Every weekend you’ll find our local Shoestring Players at their new location giving tours and performances with a different show on every weekend in October. 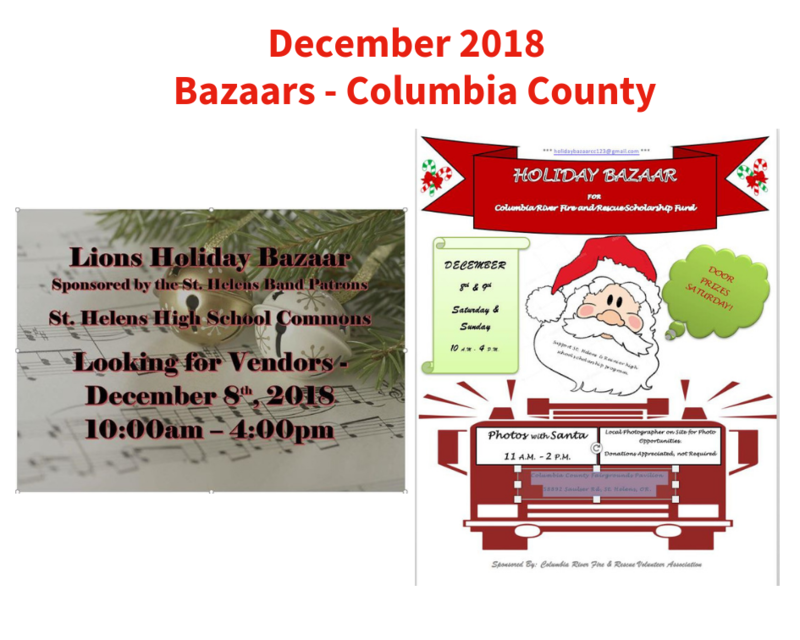 Tickets will be on sale online and at the ticket booth in the Rose Garden Park in front of the Old Columbia County Historic Courthouse. 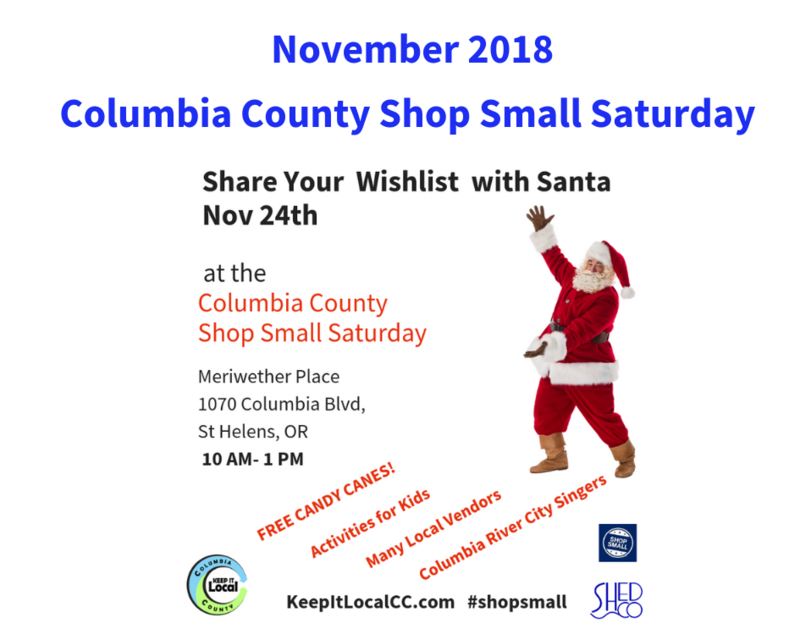 The Columbia County Museum Association is also giving tours of the Old Columbia County Historic Courthouse on October 13th & October 20th from 1:30-4:15 PM first come first served line up on steps donation $3.00 suggested. The Courthouse was featured as City Hall in Halloweentown and the courtroom was home to Mayor Kalabar’s office. There will also be several photo opportunities. 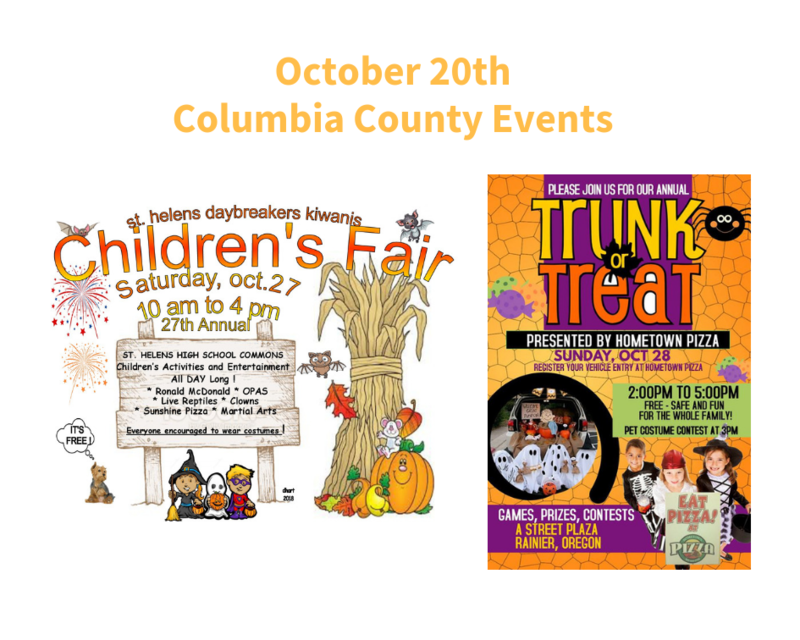 At the end of the month, the St Helens Kiwanis Club Children’s Fair provides free entertainment for kids, Trick or Trunks is put on by the local Moose Club from 2-5 on 20th and in Rainier Oregon on Oct 28th sponsored by Hometown Pizza will keep your family busy this month! Looking for a spooky run a 3 k or 6 k? The Graveyard Run starts at the Vernonia Memorial Cemetery on Oct 27th at 9:00 AM. This event is spookily good. Some fun just for adults 21 and older includes the Boos Cruise an event sponsored by South Columbia County Chamber of Commerce on Oct 27th from 7:30- 9:30 PM purchase tickets online. If you in the mood for a Masquerade Charity Ball, Windermere Foundation, hosts a party with great food, music, costumes and chance to raise funds for a local nonprofit. You’ll find more ticketed events such as Gothic Party, Celebrity Photo Ops, and more. 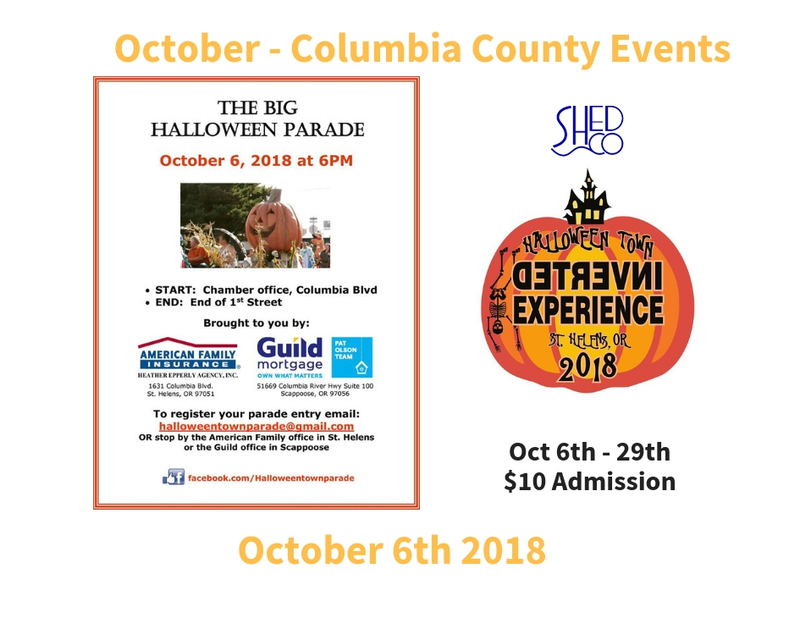 To get a full view of Halloweentown events sponsored by the City of St. Helens and to purchase tickets go to the Offical Spirit of Halloween Agenda on www.discovercolumbiacounty.com. Posted on September 25, 2018 at 2:30 pm. St. Helens, OR – You are encouraged to dress in costume for the Fall Pub Crawl on September 28th from 4:00 -8 PM. 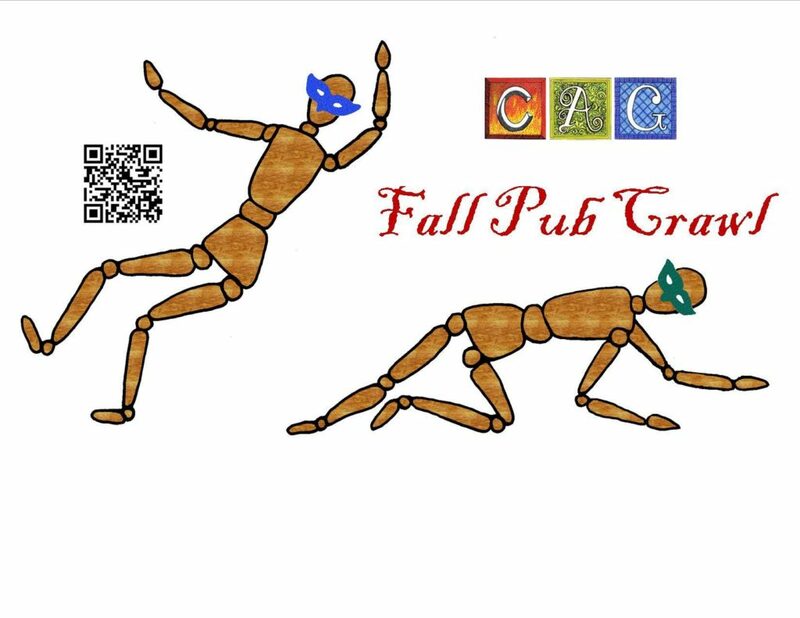 The Fall Pub Crawl starts with an Art show, photo opportunities, door prizes at Northlake Physical Therapy, 21 Cowlitz Street, St. Helens hosted by the Columbia Arts Guild (CAG). Grab a friend or two to participate in the Fall Pub Crawl to the other 8 businesses tasting as you go. CAG is hosting this new fundraiser to showcase local artists at businesses and engage the community. You will find some artists on site and some participating virtually. You can scan the QR code to find out more information and follow their facebook page to stay up to date. Keep an eye on this local group. CAG hosts an Annual Spring Into Art every year and offers other ways to get involved to support the art community in Columbia County. To get more information about the CAG go to their website.